Scott Fitzwilliams, supervisor for the White River National Forest explains the purpose of controlled burns and how they help prevent the spread of fires such as the Lake Christine Fire that broke out in July. The Lake Christine Fire broke out on July 3 and burned more than 12,500 acres north of Basalt. It cost over $18.5 million to fight. 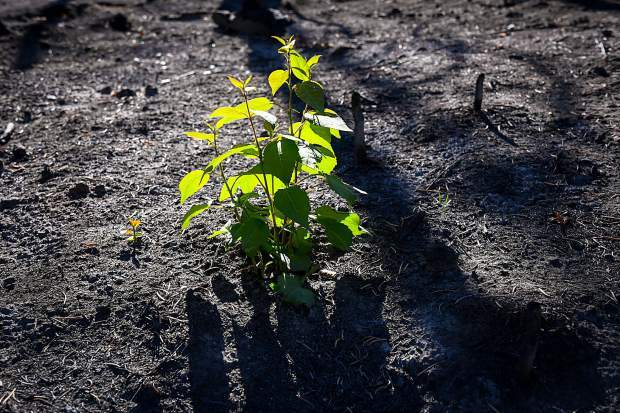 New vegetation grows through the charred earth on Basalt Mountain three months after the Lake Christine Fire. The Lake Christine Fire broke out on July 3 and burned more than 12,500 acres north of Basalt, and cost over $18.5 million to fight. 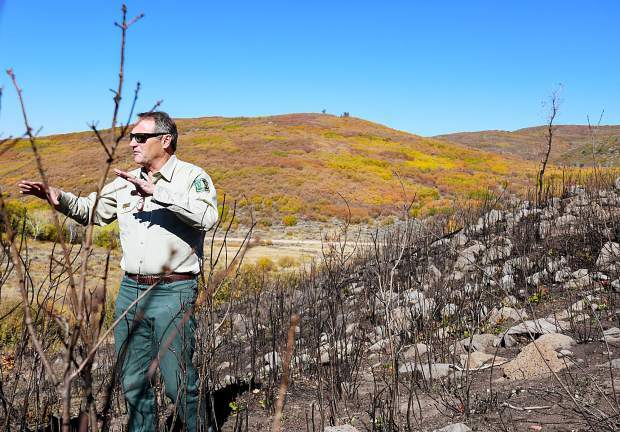 White River National Forest Supervisor Scott Fitzwilliams explains the purpose of controlled burns and how they help prevent the spread of fires such as the Lake Christine FIre that broke out in July. A large section of Basalt Mountain underwent a prescribed burn a few years ago, which in the long run helped contain the spread of the Lake Christine Fire into Missour Heights this past July. While thousands of acres burn every summer in Colorado, the 2018 wildfire season sparked concerns among fire officials and served as a lesson for those that live here of the dangers of living on the Western Slope. 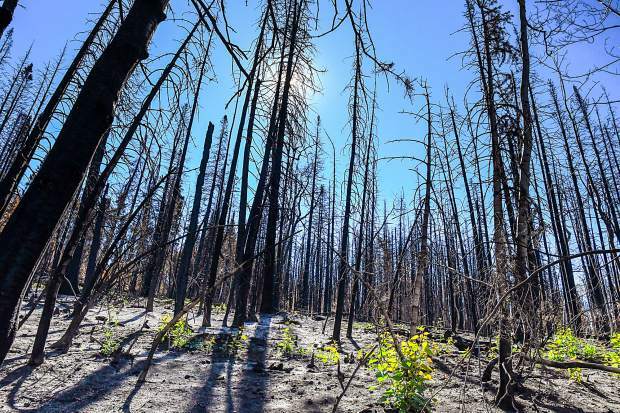 As fires are still smoldering headed into October across the state, including the Cache Creek Fire southeast of Battlement Mesa, July provided a glimpse of what the worst-case scenario could look like with the Lake Christine Fire above Basalt. “If we don’t do more fire mitigation we will lose a lot more than three homes. 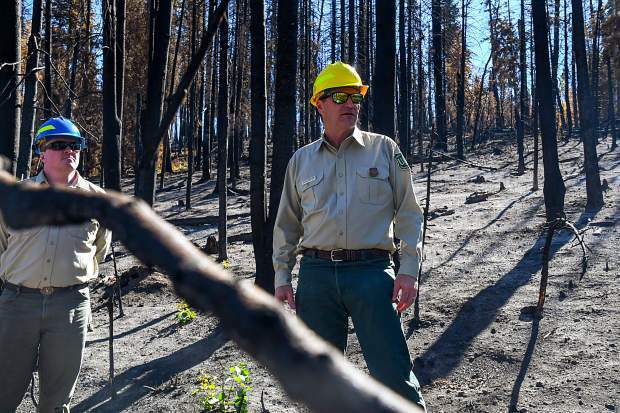 It should be a wake up call,” White River National Forest Supervisor Scott Fitzwilliams said on a drive up to the site of the fire last week, as public access to Basalt Mountain remains closed. 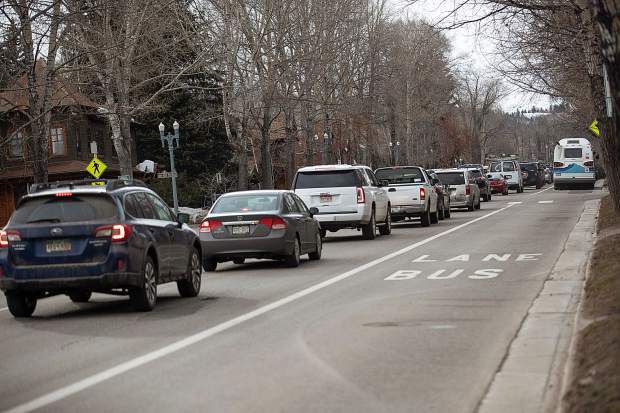 “When I drive in forestland and come upon subdivision after subdivision that are vulnerable to fire … we need to be more proactive about how we place these developments,” he added. Fitzwilliams had three main takeaways from the 2018 fire season. One, there is a fuels problem in the area, wherein years of fuel build-up has caused an excess of shrubbery, tall grass and other fuels. Two, the climate is changing as the summers are hotter and fire seasons longer. 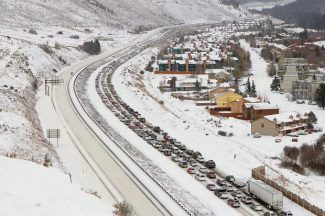 Three, with over 20 million homes in the west, communities and individuals have to be smarter about where to build. The Lake Christine Fire, which began the evening of July 3, burned more than 12,500 acres north of Basalt and has cost over $18.5 million to fight. 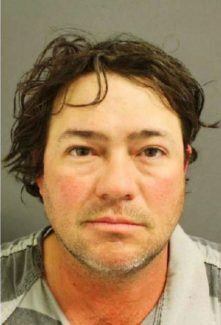 The fire started when illegal tracer rounds were used at the Lake Christine shooting range, resulting in two individuals being brought up on felony charges. 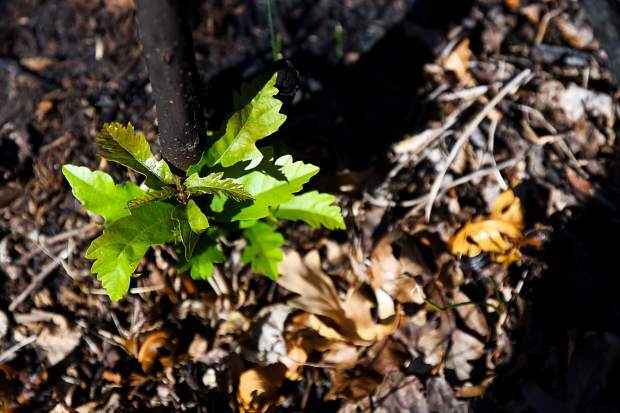 As he walked through the site of the fire, Fitzwilliams pointed to budding green roots and other young plant life among the mountain of ash. “This will provide an incredible opportunity for wildlife and diverse vegetation,” he explained. 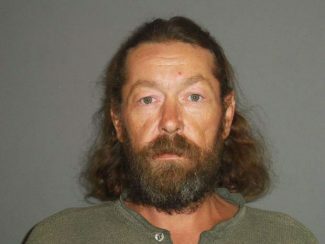 He said the land will be darkened for a few years, but by this spring it will be filled with grass and other shrubbery. While the fire nearly burned through homes in El Jebel, wind patterns pushed the fire toward Missouri Heights. But prescribed burns done in the area in previous years allowed firefighters to push it back, according to Fitzwilliams. “We secured the line because vegetation and fuels had been burned,” he said of the nearby prescribed burn. “We have to get more aggressive and tolerant of it,” he said of the routine fire management practice. White River National Forest Public Affairs Officer Kate Jerman said a prescribed burn on Basalt Mountain in 2015 burned through 1,498 acres, while two Cattle Creek prescribed burns involved a total of 1,400 acres. On the White River National Forest, 3,509 acres have been burned this year compared to 1,250 acres last year. 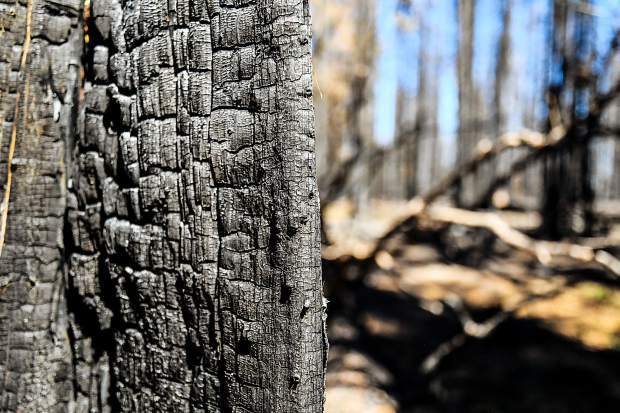 While the last remnants of the fire are just about out, officials are hesitant to open the roads on Basalt Mountain just yet. Jerman said they are hopeful to have the closure lifted soon. 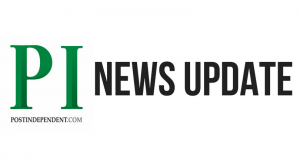 However, the 524 Road, Basalt Mountain Road, will likely remain closed due to heavy machinery operating in the area for the next month. The Forest Service crews will be working on emergency maintenance of the road during that time. She said the closure might be lifted sometime late this year as their goal is to reopen it by the second rifle hunting season Oct. 20-28.